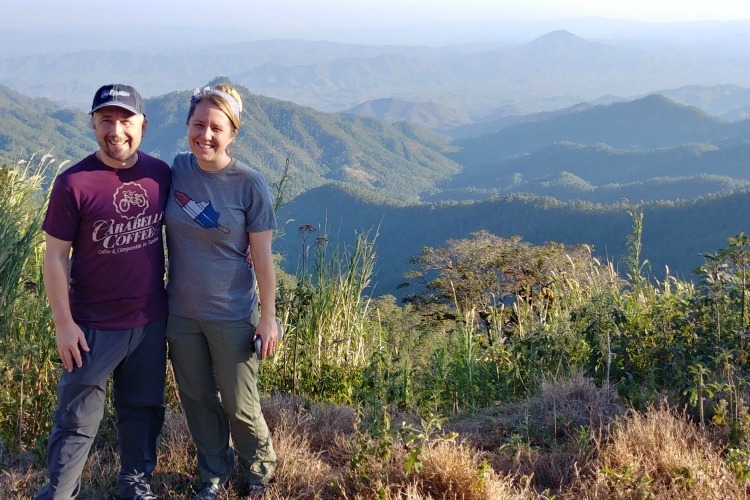 When Paula Martin lived and worked in Pittsburgh, she and her colleagues helped implement the Hunger Vital Signs screening tool to determine and individuals food insecurity. 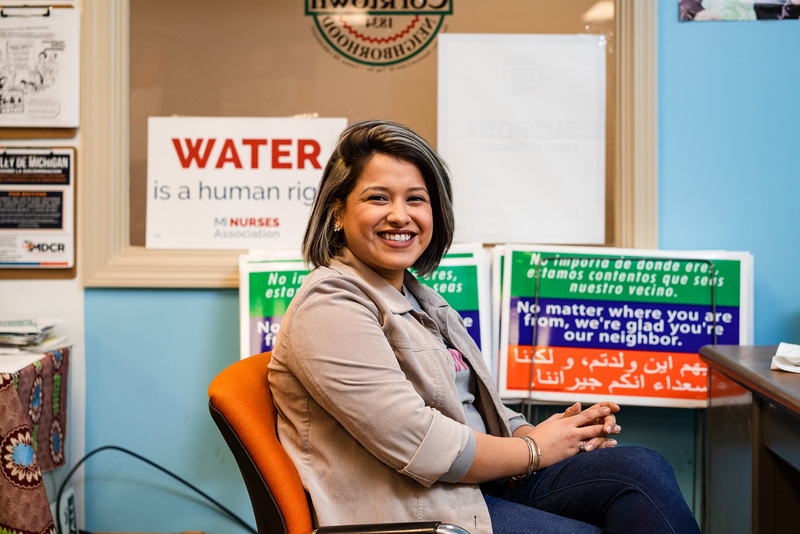 She moved to Traverse City to be the Farms, Food and Health program consultant for Groundwork Center for Resilient Communities, a nonprofit focused on improving daily life and building community health. But the registered dietician was surprised that the screening wasn't used very much in Michigan. "Providers write prescriptions for medications taken with food. Shouldn't we back up and ask if there is food in the home?" Martin says. "We know that health outcome is greatly dependent upon what foods you are eating on a consistent basis." The Hunger Vital Signs screening asks to confirm or deny two statements. One: "Within the past 12 months we worried whether our food would run out before we got money to buy more." Two, "Within the past 12 months the food we bought just didn't last and we didn't have money to get more." When we recognize that food is medicine, we are more intentional in our choices, says Patrice Brown, food access manager at Detroit's Eastern Market Corporation. Photo of Urban Roots by Adam Bird. Providers implementing Hunger Vital Signs share healthy food resources when the screening indicates a patient as food insecure. The resources include information on signing up for government funded food assistance programs like SNAP, Double Up food Bucks, WIC, and Senior Project Fresh, as well as a list of food pantries providing fresh and healthy foods. Some providers are writing actual paper prescriptions that can be redeemed for fresh, local fruits and vegetables. Nationally, groups like AARP and the American Academy of Pediatrics have embraced the screening tool. According to Hunger Vital Signs, children in food insecure families are 56 percent more likely to be in fair or poor health and 60 percent more at risk for developmental delays than their food secure counterparts. Their mothers are twice as likely to be in fair or poor health and nearly three times more likely to experience depression. "Our children are our future," Martin says. "If we are not taking care of them, nurturing them, so they can grow and learn, and be productive members of society, we all lose." 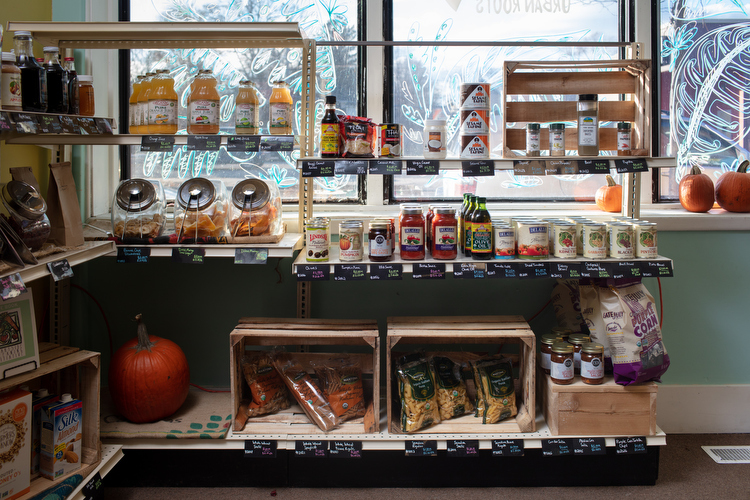 Across Michigan, agencies, nonprofits, and farmers serving income-challenged populations are making the connection between good food and good health. By creating models that better serve the people they work with, they're enhancing local food economies and helping to create an alternative to the industrialized food system that churns out highly processed foods detrimental to good health. In 2016, the Michigan farmers' Market Association (MIFMA) released a report on Prescriptions for Health programs that has inspired more providers to take this approach. 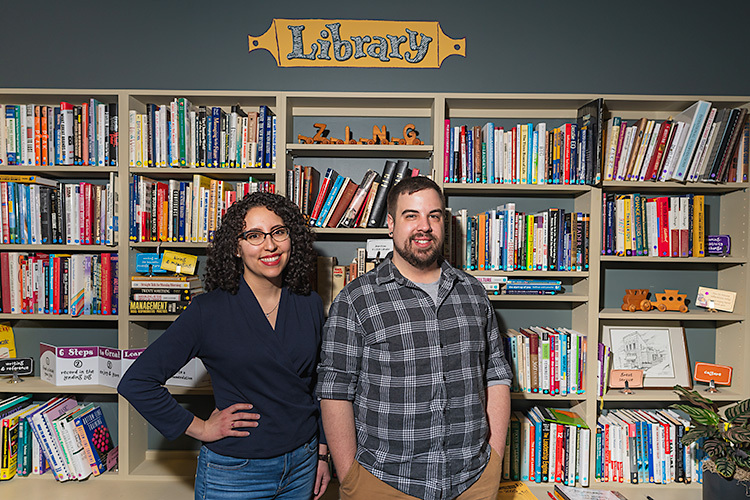 In Grand Rapids, Urban Roots fills Prescriptions for Health written by providers at the Mercy Health Browning Claytor Health Center, a family practice clinic serving Grand Rapids' southeast neighborhoods. Urban Roots’ multi-faceted approach to increasing the neighborhood's food security includes a small urban farm, market, workshops, mobile classroom, and service learning opportunities. Levi Gardner is executive director of Urban Roots in Grand Rapids. "Unfortunately, I think our discussion of health comes with a heavy-handed, long list of things not to do. That list doesn't have any staying power," says Urban Roots executive director Levi Gardner. "We want to invite people into ownership of their own health. Not what the doctor or government says, but by their own experience of abundance in their own lives." In Detroit, Eastern Market partners with the Ecology Center and Saint Joseph Mercy Health in The Fresh Prescription Program. Patients redeem prescriptions for fresh, local fruits and vegetables at partnering farm stands and farmers' markets. 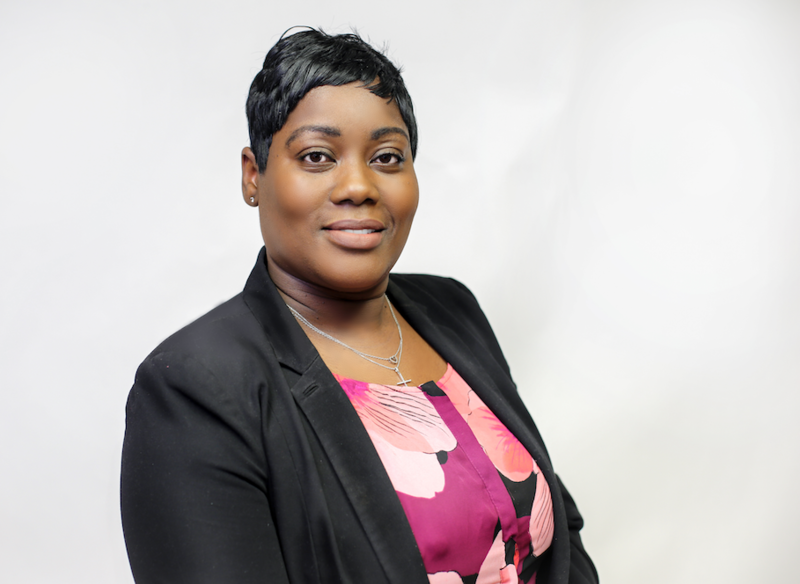 Patrice Brown, food access manager at Eastern Market Corporation, has been working to expand the program by adding CSA food boxes and extending the program past the traditional farmers' market season. "We're seeing a good amount of redemption at the eight sites in the network," Brown says. 'We're waiting to get the numbers back, but we anticipate there will be around 300 participants and $20,000 to $30,000 worth of vouchers spent (in 2018)." For Eastern Market, that's just the tip of the iceberg. Its other programs include hiring 15 food and health fellows each year. They do the hands-on work of running food assistance operations that include fresh produce tasting stations within locally owned grocery stores. Summer culinary interns from Henry Ford College create and prepare healthy recipes using local produce for the tastings that also take place at Eastern Market’s 33 weekly pop-up farm stands. "We've had more than 2,500 samples given out this year alone at four grocery stores and one community care center. We have more conversations, around 5,000, than actual tastings," Brown says. "We're just excited about this program and hope it can grow and expand." 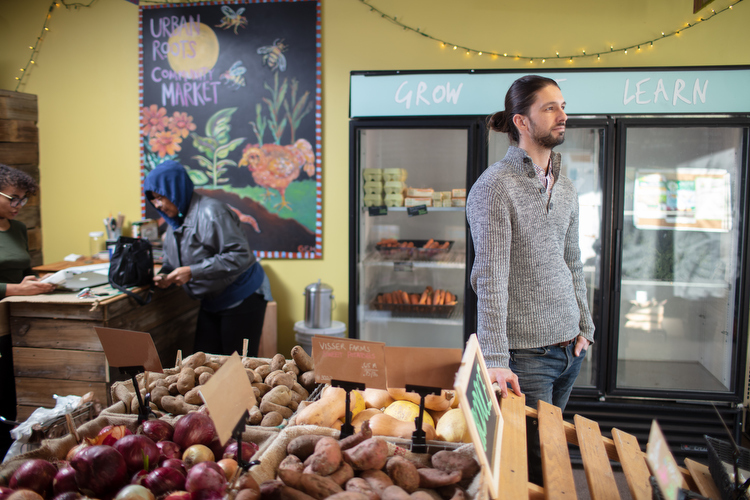 Eastern Market also provides management support for the Detroit Community Markets, a network of neighborhood farmers markets and alternative food distribution programs, hosts its own nutrition education programs, and has begun implementing programming in some schools. 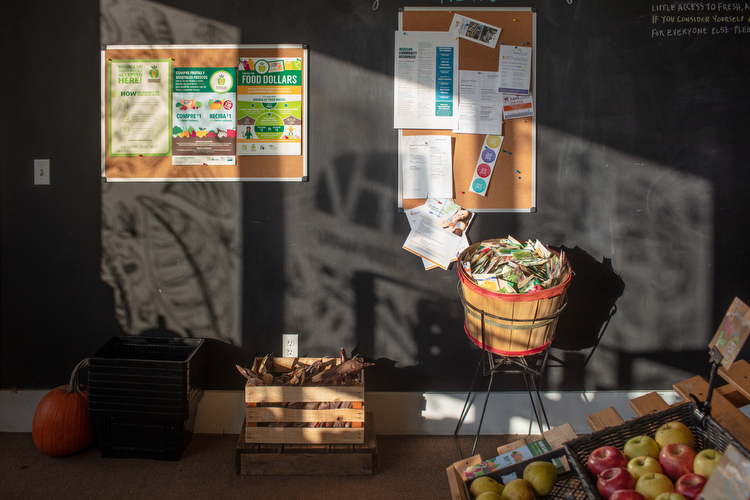 Urban Roots has a multi-faceted approach to increasing this southeast Grand Rapids neighborhood food security. "We've been very encouraged by the studies we've seen about how wholesome foods can impact children’s health," Brown says. "When we get people to understand that food is medicine, we will be more intentional in our shopping habits." In Detroit, far too many deaths are caused by food-related disease. Brown is paying attention to tracking biometrics for obesity, BMIs, A1C, and hypertension — and how Eastern Market's programs are impacting them. "We can really start to address those things and change behavior," he says. "That's not something that's easily done, but we've found creative ways to engage our community members." Read more stories in this series here.